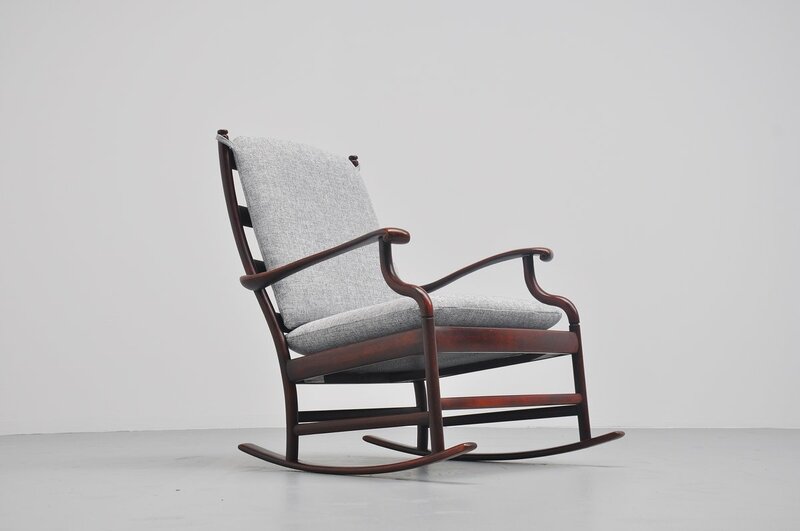 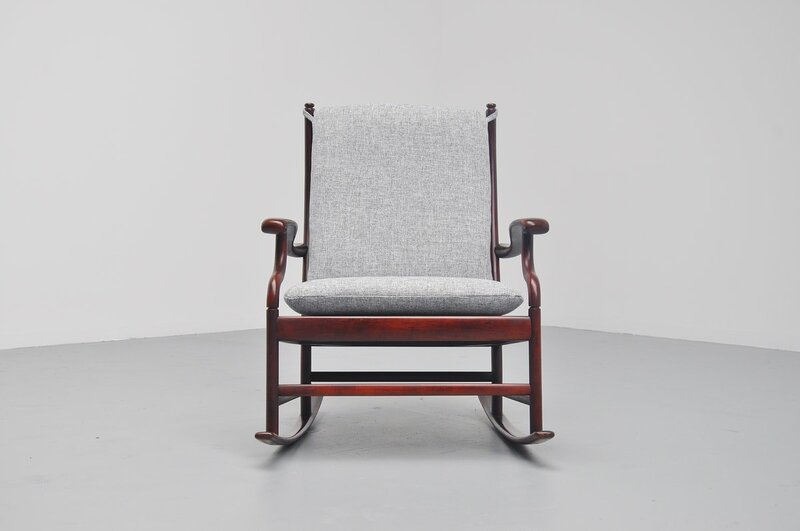 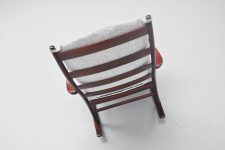 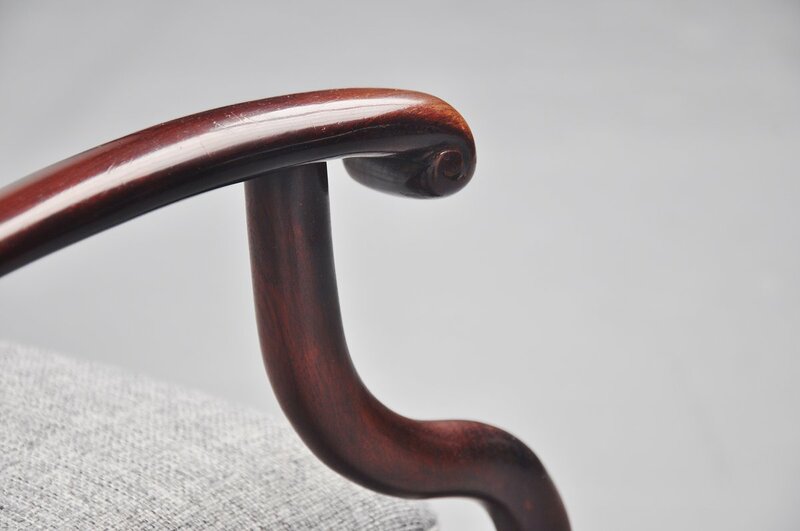 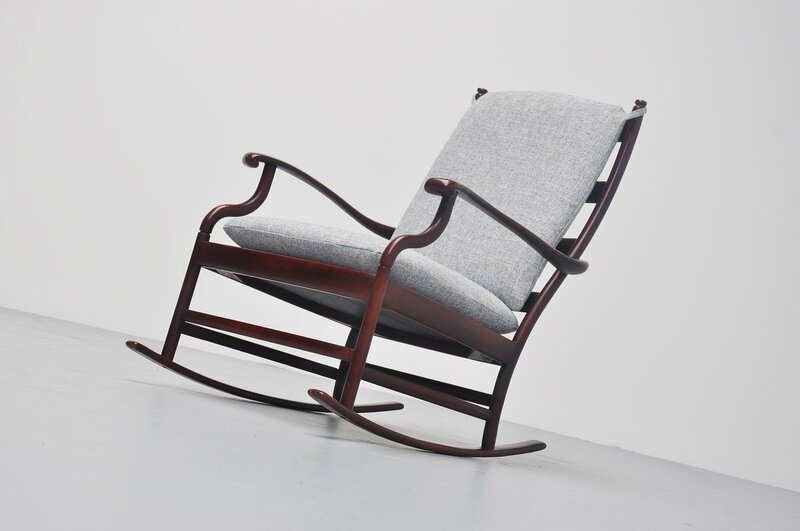 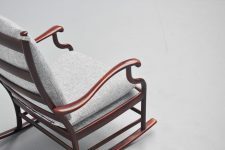 Very nicely shaped rocking chair in solid mahogany wood, Denmark 1960. 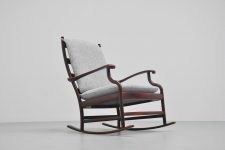 The chair is strongly attributed to the designs of Ole Wanscher, but I cannot find the right documentation. 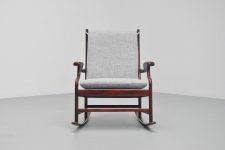 It seats very comfortable and is newly upholstered in light grey semi synthetic fabric.